Where the hell is Hechlingen, you might think. And what does it have to do with motorbiking? For those of you, who love to go offroad (and if it’s just on a sidetrack), read on. If you’re a track and asphalt lover, this post isn’t for you. In short, Hechlingen, is heaven for everyone who loves riding off-road. Hechlingen is a small village in Bavaria, just 80km north of my hometown Augsburg. Previously an old quarry, the area (a whopping 26 hectares) was bought by BMW and transferred into a training ground for off-road motorcycle training. And the training is nothing short of amazing! You thought you can ride a bike? Going to Hechlingen makes you re-think your abilities on two wheels. In fact, riding off-road is totally different compared to normal street riding. It starts with the riding position. While you sit on your motorbike when riding, off-road you’re standing. “No big deal”, you might say. In fact, it’s not that difficult but after hours of riding while standing we’ll talk again. Breaking, cornering, going up and downhill, everything is totally different offroad compared to being on the tarmac. And that’s what we practiced in Hechlingen for two full days! We all got our asses kicked! But at the end of the two days we were all glad to have taken part. The lessons you learn there are truly invaluable! 2) You have to wear full gear but don’t use your most expensive Dainese Leather suit. Buy some cheap, comfortable gear. 3) Unless you have proper Enduro boots, rent a decent pair of Enduro Riding boots at Hechlingen. 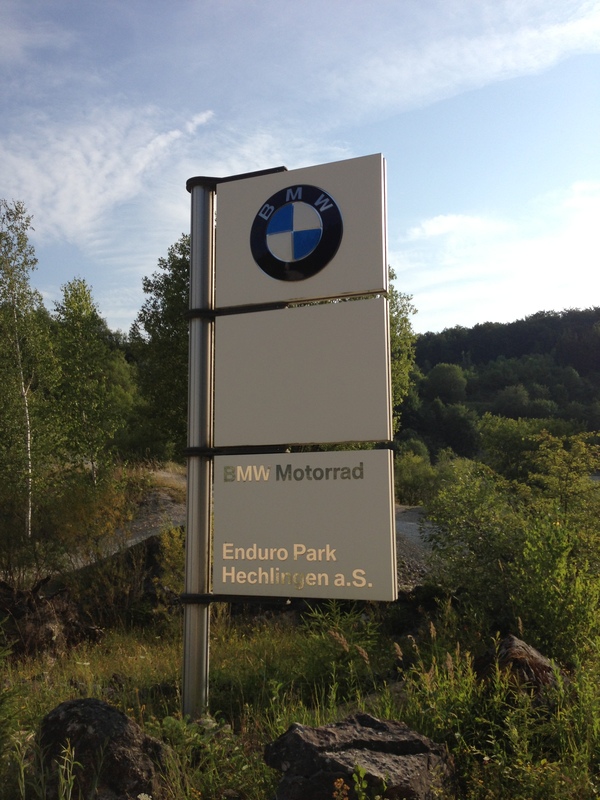 For more information visit the BMW Enduro Park Homepage. This entry was posted in Random Stuff, Travel and tagged BMW Enduro Park Hechlingen, BMW Enduro Training, BMW Motorrad, Enduro. Bookmark the permalink. Reblogged this on Basti in China.